This Homemade Turkey Injection Seasoning is super easy, taking only 5 minutes for a flavorful and slightly sweet bird just like the Cajun turkey injector they sell at the store! Whisk together all ingredients in a small bowl until combined and smooth. 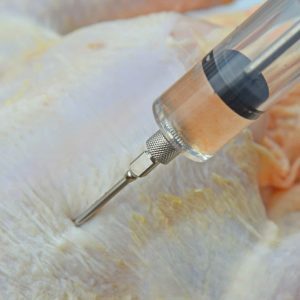 Inject into turkey before cooking.